Near Field Communications (NFC) is becoming more prevalent as the technology makes its way into more consumer products and applications. Most people are familiar with this in the context of security badges, access cards, clothing security tags and parking passes. These “RFID” or “Contactless Smart Cards” lack a power source of their own and rely on the reader to energize them through RF induction. They are generally limited to a small amount of data and used primarily for identification or authentication. NFC is now showing up in cellular phones, advertising / information kiosks and point-of-sale equipment. With a NFC enabled smart phone, people can easily share content in a peer-to-peer mode. It’s as easy as enabling the application for NFC access and bringing the two smart phones within a few inches of each other. Other applications react using the internal accelerometer to detect when a device is tapped against another device, powering up the NFC electronics and initiating a program to search out other NFC enabled devices to communicate with. It’s not just peer-to-peer communications, but information as well. In a shopping mall, you can place your smart phone on the directory kiosk to download the map of the mall, and use the phones’ GPS to guide you to a restaurant or theatre. You’ll also have the menu and the show times for the movies. When you get to the theatre, place your enabled tablet or iPad close to the movie poster to play a trailer for that show. These are just a few of the everyday applications enabled with NFC technology. There is also a proliferation of payment options coming. You’ll soon be able to use your phone to replace your bank cards, credit cards, store loyalty cards and all manner of plastic cards (see related article What’s In Your Digital Wallet? ). Just touch to pay with an NFC enabled phone. Research and standards are promoted by the non-profit industry association The Near Field Communication (NFC) Forum . Their goal is to provide a standards-based connectivity technology so that NFC harmonizes today’s diverse contactless technologies and enables current and future solutions. Developers interesting the NFC Forum Specifications can access them here: Specifcations . NFC Forum has recently posted white papers addressing Smart Posters , Kiosks and Ecosystem , among others. For all contributions, see NFC White Papers . 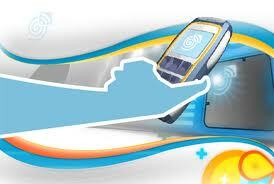 Consumers will find NFC enabled smart phones coming later this year to work with the three major carriers. Surprisingly, the new iPhone-5 does not have NFC capability. Samsung, who is also a NFC chip supplier, has included their devices in the Galaxy S III or Galaxy Relay 4G smart phones (available through Verizon only at this time).